Undoubtedly, Toyota is one of the most formidable automakers in the world today. How did a Japanese automaker make an indelible mark on the U.S. automotive landscape? Better yet, how did Detroit’s original Big Three–Ford, General Motors (GM) and Chrysler–allow Toyota and its Japanese peers to etch away at their dominance, such that U.S. automakers’ market share of cars and light trucks reduced from 87% in 1970 to a mere 57% in 2005? Tenets from the Theory of Disruptive Innovation offer a causal explanation. Back when Toyota first entered the U.S. automotive industry in 1957, the Big Three were primarily focused on building large cars with powerful engines—a strategy they continued to pursue throughout the 1960s and 1970s, since it catered to their most profitable customers. Rather than compete with the incumbents head on, Toyota focused its attention on serving the lower tiers of the market by providing reliable, fuel-efficient and compact cars at an affordable price. While its initial U.S. offering, the Toyopet Crown, fell flat, the Corona and Corolla, launched in 1965 and 1968, respectively, struck a chord with customers who were willing to accept smaller cars with less powerful engines for a lower price. As Toyota slowly gained market share, the incumbents weren’t asleep at the switch. They were confronted with the same Innovator’s Dilemma that plagues established players across the globe: should they continue to target their most profitable customers, in this case by making bigger cars for larger profits? Or should they fight to preserve the lower tiers of the market, making affordable cars for their least attractive customers, thereby capturing lower profit margins? The forces in any company push executives towards the former conclusion. Any rational business executive would say that developing products intended for more demanding customers that offer higher margins is the right thing to do. Yet, ironically, in this case, doing the “right thing” is actually the wrong thing. When incumbents are motivated to flee from the lower tiers of the market rather than fight—what we call an asymmetry of motivation between incumbent and entrant—they effectively pave the path for the entrant’s upmarket climb. 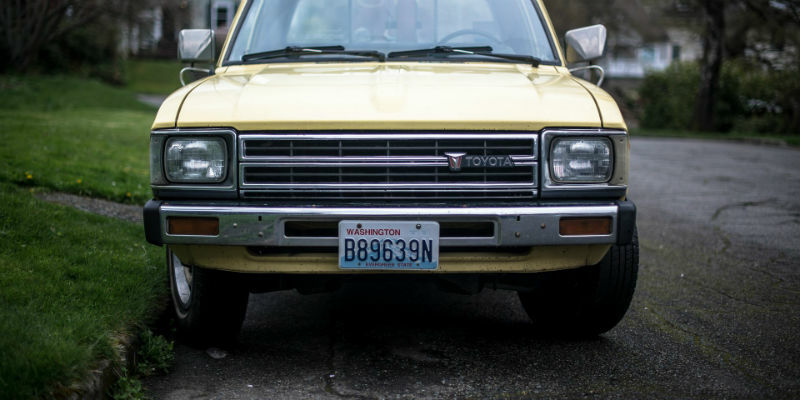 From its humble beginnings, Toyota continued to improve upon its early models, etching away at its competition from the low-end as it gradually made higher-end cars. Eventually, it created its luxury-brand, Lexus. The rest is history—while GM and Ford continue to lead the U.S. automotive market, Toyota now maintains a 12.8% market share, a sharp contrast from its negligible market share in 1960. The fight for industry dominance is a continuous process, not a one-time event. In fact, Toyota and its Japanese peers are now facing the same Innovator’s Dilemma that the Big Three faced when the entrants first entered the U.S. market. As the Japanese automakers and other industry leaders focus on their most profitable customers, Korean automakers Hyundai and Kia are slowly stealing their least profitable ones. In pursuit of higher profitability, business leaders must avoid the temptation to neglect the lower tiers of the market. Almost always, there are (or will be) entrants motivated to prove their mettle by successfully serving less profitable customers. Eventually, some may move upmarket and become formidable competitors. What are your thoughts? Where do you see asymmetric motivation at play?